The petty dabbler of the dark arts returns after three years in cancellation hell. To an ALL NEW day on Monday October 22nd at 9:00pm on The CW! This year, Legends of Tomorrow will be crossing over with itself. I'm reminded of the Felicity Smoak OT. Ready for Legends to be back. On a roll since seasons 2 & 3. Unlike Flash and Arrow, I’m not really worried about Legends. Yeah, but this is a troll title we can all be happy about. So is this actually a Constantine show? I thought they were only doing a cartoon now? 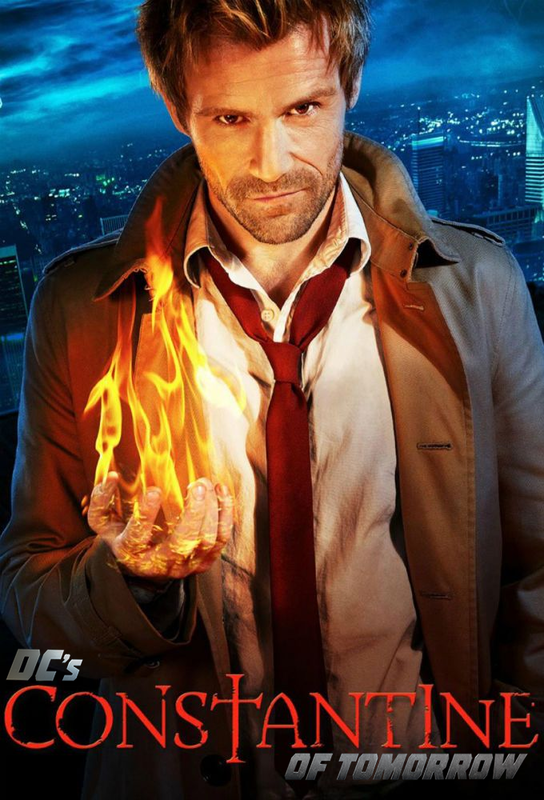 Loved constantine season 1. Too many tonal sacrifices had to be made to let Constantine gel with this wacky Legends crap, this feels too goofy for me. Constantine is a series regular in the new season of Legends. He also has an animated movie/miniseries. Was S3 good? I skipped it [together with the majority of last season of Flash]. So no Rip at all this season? Extremely. Probably the best season of any of the Arrowverse shows last year. I liked it about as much as I liked S1 of Black Lightning and I really liked Black Lightning. Yep, it's a great watch. Pretty crazy (in every sense of the word) season finale, too. Legends and Black Lightning are the best DC-CW shows right now. S3 also massively "redeemed" Darkh and made him one of my favorite villains. That we know of. Darvill will probably pop up somehow though. There will always be ways to bring him in if he wants to return. Allright, I will look for S3 then. But that means that S4 will have to wait. It should be on Netflix already. Avoided trailers. Know it'll be good, just hope the new day doesn't hurt it. Yeah, I don't think it's quite as strong as Season 2 was, but it was still really fun with a lot of great standouts. Easily worth watching. Yup. We lost a few members but we got Constantine. Those members didn't add much worth anyway. True, though now poor Zari is the only non-white member of the Waverider crew. I just remembered Kid Flash is leaving CW. Booo. Goddamit, so now I have to go watch Arrow from S1 and catch myself up. I'm really glad they're shaking up the cast, whether it was their choice or not. I would've liked Wally to stay, but maybe he'll want to come back in a year or two. KidFlash had the personality of a spoon, nothing of value is lost. Compared to Firestorm, he was far better. The cast changes do help keep things fresh, to be sure. Maybe Wentworth will decide his hiatus is over and we’ll get some OG Captain Cold action after the midseason break this year. I should change the OT. Awesome, I love the character. I'm really glad Ava is sticking around. I don't know in what capacity, but the way her arc was headed was typical CW one season lover tragedy last year. Man S2 was fun. Was neat to see previous plot threads from the other shows picked up for that.